I recently watched what is without doubt the best horror movie of all time. 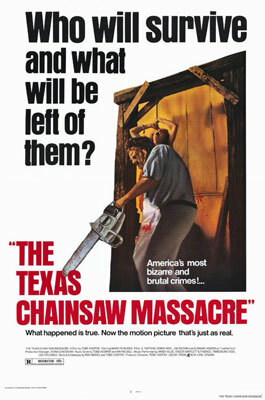 Not many films are as unbelievably unsettling, or, better yet so disturbing as the originalÂ Texas Chainsaw Massacre. When Leatherface clubs Jerry in the head causing him to collapse and “twitch” on the floor? So utterly intense. Never has a single scene in a movie left me so affected. In fact I so clearly remember the first time I ever saw the movie and that scene, in particular. In Keg’s basement, as a kid, really, totally freaked out of my mind. As if being in his house wasn’t spooky enough, the walk home was truly something else. I’m most successful functioning on emotions. And feeling something is much more preferable than feeling nothing. No matter what those feelings may be. Anger, fear and, yes even something as troubling as this film. It’s all good. Or, at least respected. It gives me an instant connection to whatever may be tugging at my conscience.